The Wild West Comes with Him and the Nation Breathes More Easily. NEW YORK, May 20.—The Hon. William F. Cody, Indians, cowboys, animals, tents, and paraphernalia arrived to-day on the Persian Monarch. The deck was crowded with the company. 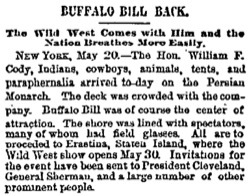 Buffalo Bill was of course the center of attraction. The shore was lined with spectators, many of whom had field glasses. 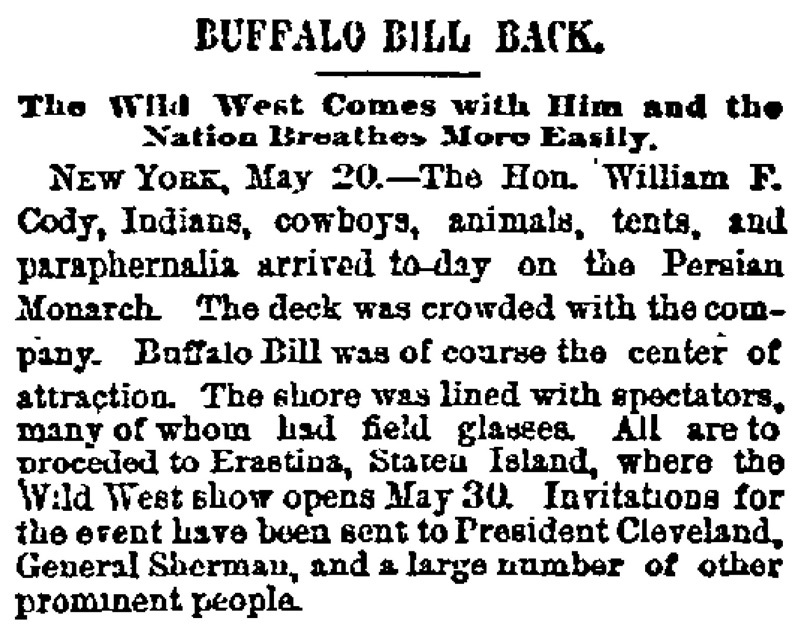 All are to proceded to Erastina, Staten Island, where the Wild West show opens May 30. Invitations for the event have been sent to President Cleveland, General Sherman, and a large number of other prominent people.